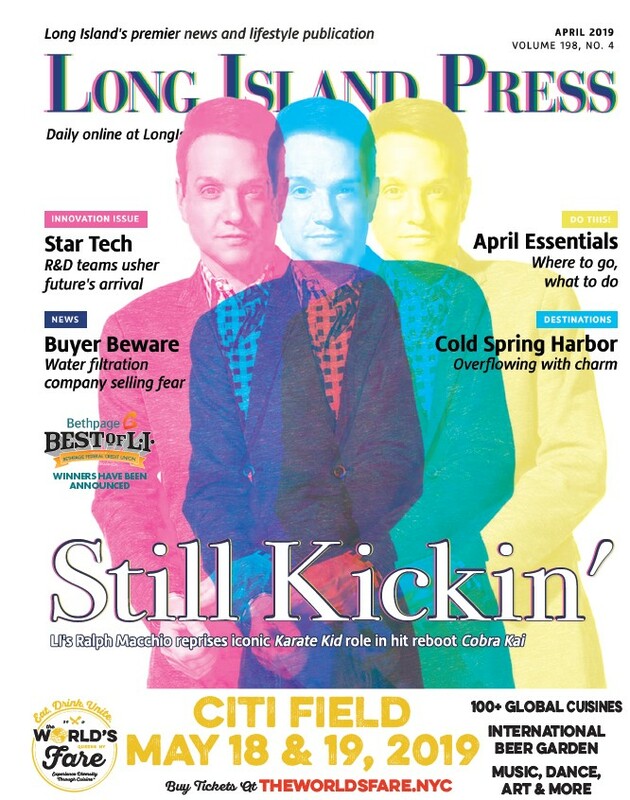 Long Island’s biggest export is its students, as the joke goes, but the region has more than a dozen colleges and universities offering degrees in virtually every field of study. From small specialty colleges to large research universities, there are plenty of options for students to stay local. Many of LI’s colleges and universities have dorms that allow for students to transfer here from elsewhere. But matching a student with the right school can be a daunting task. Located in Hempstead, Hofstra University offers more than 150 undergraduate and more than 160 graduate degree program options, from studies in communications, business, engineering, math, sciences, and so much more. 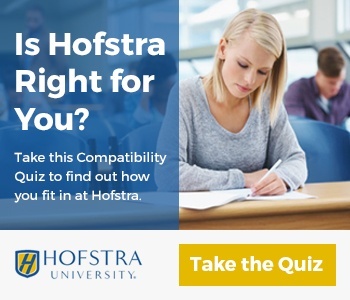 Hofstra University consistently ranks among the top national universities for its rigorous coursework and academic programs. The university maintains a 14:1 student-to-faculty ratio, small class sizes, and averages a 61.6 percent acceptance rate. The school has nearly 7,000 undergraduate students enrolled as of 2016. Students have the option to live in student dorms or live off campus. Slightly more than half of its students live off-campus. Hofstra is home to 17 collegiate Division I sports teams, with the “Hofstra Pride” widely recognized for its lacrosse and wrestling programs. UFC fighter and former middle weight champion Chris Weidman wrestled for The Pride. Hofstra offers a broad array of clubs and organizations for students, including academic groups, Greek organizations, multicultural and media clubs, religious organizations, and many more. Located in Brookville, LIU Post offers more than 250 undergraduate and graduate programs, ranging from studies in business, science, environmental studies, humanities, education, and more. LIU Post has consistently ranked as one of the best regional universities for its academic programs. The university prides itself on having a 12:1 student-to-faculty ratio and maintaining small class sizes to help students forge relationships with professors and receive more personalized attention. The university averages an 82.9 percent acceptance rate. The undergraduate population consists of more than 7,000 students as of 2016. Students have a choice whether to live on or off campus. All of the dorms on campus are co-ed, and are separated by floor or wing based on gender. LIU Post is home to 22 collegiate Division II sports teams. The Pioneers boast a number of national championship titles in multiple sports. The campus also has over 60 organizations that students can join including, Greek organizations, club sports teams, service organizations, performance-oriented organizations and many more. Located in Garden City, Adelphi University sits in a suburban neighborhood on 75 acres. The school offers a wide range of programs for students to choose from, including the arts, business, the sciences, education, counseling and more. Adelphi has been ranked in the top 155 national universities for its overall quality by US News and World Report. The university’s population consists of over 5,000 students. The school maintains a student-to-faculty ratio of 12:1. Students report that the school has small class sizes and accessible professors. Adelphi averages a 72.4 percent acceptance rate. More than 1,300 students live on campus while the majority of the students commute. The school participates in collegiate Division II athletics with the exception of the women’s bowling team, which competes at the Division I level. In addition, Adelphi offers over 80 student organizations including both academic and social-oriented groups. Stony Brook University, a prestigious member of the State University of New York (SUNY) system, has 16,480 undergraduate students as of 2016. The campus spans 1,454 acres in Suffolk County. US News and World Report ranked Stony Brook as the 89th best school among National Universities and as the 37th best public school in the nation. The school has a student-to-faculty ratio of 16:1. Stony Brook consistently has a 41 percent acceptance rate, making it one of the more selective universities in the nation. 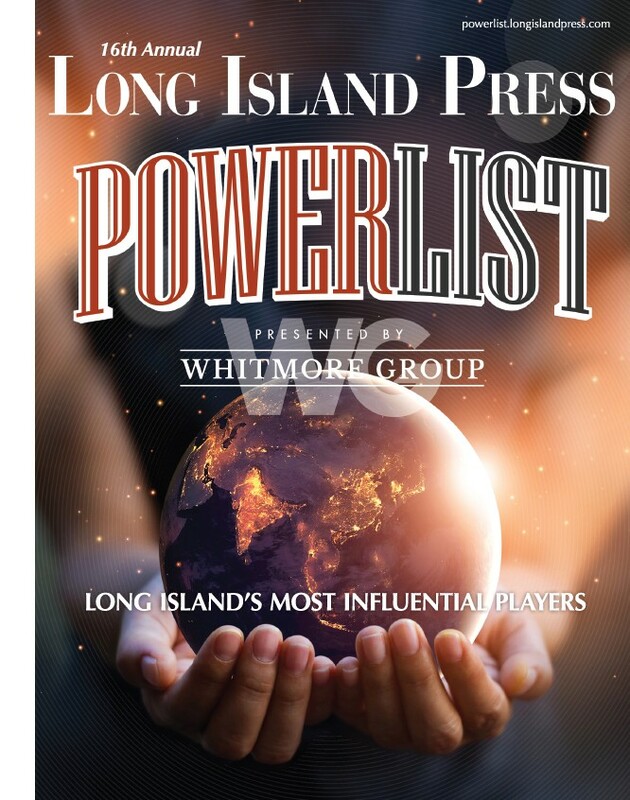 It is considered to be the best public university on Long Island. The university boasts almost 200 undergraduate programs for students to choose from that cover subjects such as the sciences, health professions, business and more. About 60 percent of the students live in on-campus or campus-owned housing. Stony Brook competes at the Division I level in sports and has 18 teams. In addition, the university has over 300 student organizations, including service-oriented groups, academic-oriented groups and Greek organizations. As SUNY’s largest college of technology, the 380-acre campus near the border between Nassau and Suffolk counties instructs about 8,600 undergraduate students as of 2016. US News and World Report ranked Farmingdale State College as the 32nd best college in the northern region. The college maintains a student-to-faculty ratio of 21:1. The college offers degree programs in business, engineering, homeland security and health professions. About 46.6 percent of students who applied to Farmingdale were accepted, making it one of the more selective schools on Long Island. About 8 percent of the students live in on-campus or campus-owned property. The college competes at the Division III level with 17 different athletic teams. Students also have the opportunity to get involved in clubs and organizations on campus that will allow them to do community service, socialize, and heighten their academic experience. The college is also notable for its Solar Energy Center, the first accredited center in the Northeast. Molloy sits on a 30-acre campus that hosts 3,336 undergraduate students as of 2016. US News and World Report ranked the school as the 36th best college in the northern region and the 28th best college in the nation for veterans to attend. The school offers over 50 academic programs. The most popular majors are health professions, education, business, management, marketing and related support services, homeland security, law enforcement, firefighting, public administration and social service professions. The school maintains a student-to-faculty ratio of 10:1. Its acceptance rate averages at about 75.4 percent. About eight percent of students live in campus-owned dorms on-campus property. In addition, Molloy competes at the Division II level of the NCAA with 17 teams. The school also offers more than 50 clubs and organizations, ranging from academic organizations to service organizations and cultural groups. St. Joseph’s College sits on a 30-acre lake-side campus in Suffolk County. The college hosts about 3,300 students as of 2016. The college maintains a 12:1 student-to-faculty ratio. St. Joseph’s College offers 45 majors and programs for its students to choose from. Over 85 percent of the students who attend the school receive financial aid, making the institution affordable. US News and World Report ranked St Joseph’s College as the 74th best college in the northern region. The school averages a 70.7 percent acceptance rate. As of fall 2017, St. Joseph’s college will offer on-campus housing for students. The dorms will be co-ed, but they will be separated by gender by floor. The college competes in the NCAA at the Division III level with 21 athletic teams. Students have the opportunity to get involved with over 78 clubs on campus, including student government, academic organizations, service societies, etc. NYIT is located on 215 acres in a suburban setting in Nassau County. Almost 4,300 undergraduate students attend the university as of 2016. US News and World Report ranked NYIT as the 41st best college in the region. The polytechnic institute offers over 90 degree programs that focus on the technical arts and applied sciences. The school maintains a student-to-faculty ratio of 14:1 and keeps class sizes relatively small. About 21 percent of the student population lives in on-campus and campus-owned housing. Around 69 percent of students who applied to the institute were accepted. With the exception of its baseball team, which competes at the Division I level, NYIT competes in Division II athletics. The NYIT Bears Athletic program consists of 12 sports teams, which have performed well in recent years, winning multiple national championships and making a number of play-off appearances. The university has many organizations for students to join, including Greek life, ROTC programs, service organizations, academic organizations and many more. SUNY Old Westbury offers its students over 50 programs, which cover the humanities, sciences, math, social sciences, visual arts and more. The small liberal arts college sits in a scenic setting on 604 acres near scenic Nassau’s North Shore. The school has almost 4,500 undergraduate students as of 2016. The university maintains an 18:1 student-to-faculty ratio coupled with small class sizes, making it easier for students to seek help with their school work. SUNY Old Westbury has an average acceptance rate of 62.4 percent. SUNY Old Westbury is ranked by US News and World Report as a Tier 2 national liberal arts college. About 1,000 undergraduate students live in on-campus housing while the majority of students live off campus. SUNY Old Westbury participates in Division III collegiate athletics with 14 programs. Students are offered many social and academic organizations to join, including Greek life, intramural sports, ROTC programs, academic oriented clubs and many more. Webb Institute is the oldest school in the United States devoted to naval engineering. The 26-acre campus overlooking Long Island Sound houses and instructs 90 students, as of 2016, who are studying for a career in maritime engineering. The institute is considered to be very selective and admits about 33 percent of its applicants. Every student who attends Webb Institute graduates with a dual-degree in Naval Architecture and Marine Engineering. All students are given four full years of tuition scholarship. All students are required to live in on-campus housing. The school’s small size helps maintain a student-to-faculty ratio of 8:1. Webb competes in the Hudson Valley Intercollegiate Athletic Conference in five different sports, depending on student interest. All students have the opportunity to compete in varsity sports as well as a number of intramural sports. In addition, students are given a free membership to the local YMCA. The U.S. Merchant Marine academy is one of the five U.S. military service academies. The overall goal of the academy is to prepare its students to become officers in the U.S. Merchant Marine. In addition to a bachelor’s degree, students graduate with a U.S. Coast Guard License and an Officer’s Commission in the U.S. Armed Forces. The academy has about 940 students on its 82-acre campus beside Long Island Sound as of 2016. US News and World Report ranked the school as the 3rd best college in the northern region. The academy keeps a 13:1 student-to-faculty ratio. The academy is very selective, with an average acceptance rate of 22.3 percent. All students are required to live on campus for all four years. In addition, the Merchant Marine Academy, which competes at the Division III level of the NCAA, has 18 varsity teams. In addition to its varsity program, students have the opportunity to join nine different club sports teams. Nassau Community College sits on a 225 acre campus near Nassau’s Museum Row and instructs over 23,300 undergraduate students as of 2016. It is the largest single-campus community college in New York State. The two-year college offers students the opportunity to earn associate degrees in 62 different programs. NCC’s most popular programs include liberal arts and sciences, general studies and humanities, business, management, marketing and related support services, and health professions and related programs. The school boasts that its professors hold doctorates at twice the national rate for community colleges. In spite of its large student population, NCC keeps its student-to-faculty ratio at 21:1. The average class size at NCC consists of 22 students. The college has an open admissions policy allowing all eligible students to enroll. NCC awards the most associate degrees in New York and the third most in the United States. The school competes in the National Junior College Athletic Association with 24 athletic teams. Suffolk Community College, the largest overall community college in New York State, instructs about 27,000 students as of 2016 at its three campuses in Brentwood, Riverhead and its main campus in Selden. The two-year college offers associates degrees in over 100 programs of study in 20 different fields. The school has an open admissions policy for all eligible students who wish to enroll. The community college maintains a student-to-faculty ratio of 24:1. The college also offers an honors program for highly motivated, academically oriented students. This program is designed to prepare its students to transfer to nationally competitive universities by giving them challenging and in-depth coursework. SCCC competes in the National Junior College Athletic Association with 21 athletic teams. In addition, students have the opportunity to choose from over 90 clubs and organizations to enhance their experience at the college. The school offers six honor societies and many academically oriented, spiritual and social clubs to join.